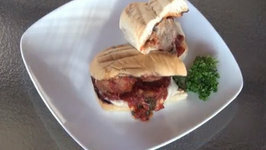 Rebecca Brand makes a very basic left-over chicken sandwich with an Italian twist. Very customizable to fit tastes and ingredients you have on hand. 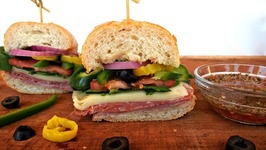 This incredibly delicious sandwich only takes minutes to make and will very quickly become your go-to lunch recipe! 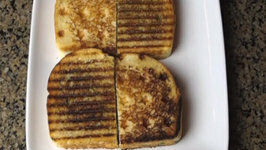 It's the perfect way to use those tasty Summer tomatoes! 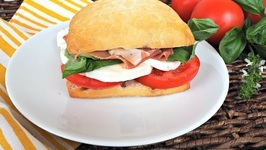 The classic Italian sub to me is the ULTIMATE sandwich recipe. I love all the layers of different meats and the vinegar punch. 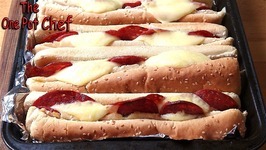 Hot Italian Sandwiches is a classic recipe made famous by Italian American immigrants and loved throughout North America. 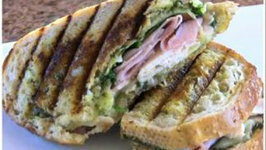 Homemade pesto and turkey sandwich grilled up on Craycort's new star pattern griddle. 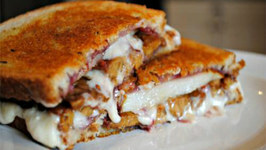 This weekend I kicked up another awesome sandwich. I put together a meatball sub all on the Weber Kettle. 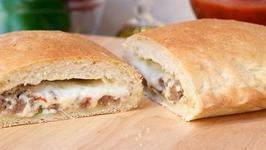 In Italy the term 'panino' refers to a small bread roll and its plural is 'panini'. Perhaps the word is derived from 'pane' which means bread. 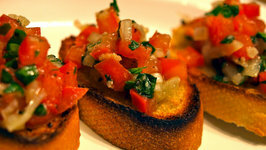 Juliana shows you how to make delicious tomato bruschetta from fresh vine tomatoes, basil, garlic, and the Mediterranean Diet staple, olive oil. Everybody loved Italian food but do you get that flavor at home? Watch the video to know more. Ryan has been busy in his absence, cooking often, learning new things, in addition to school and being a kid. 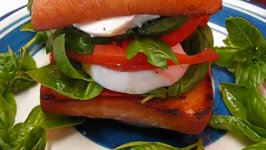 In this video, Betty demonstrates how to make an Inviting Caprese Sandwich. 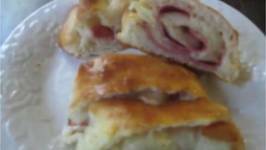 This is a traditional Italian combination of flavors that is tasty and appetizing.